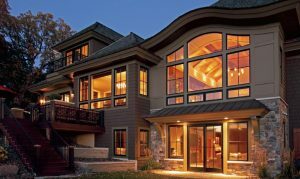 Salem Windows and Doors is one of the region’s top suppliers of Marvin and Sierra-Pacific windows and doors. Our team can assist you with measuring, choosing, and even installation of premium windows and doors from the top names in the business. If you’re a DYI kind of person, or new in the business of construction and repair – Salem Windows and Doors wants to be your best resource for all things windows and doors. Our range of beautiful and energy-efficient entry doors & patio doors perfectly complements our windows. Everything we do reflects a long legacy of innovation, craftsmanship, and superior service offered by the best names in the industry. We install our windows & doors throughout Greensboro, High Point, Winston Salem and the surrounding area. If you’re looking for the best Greensboro supplier, look no further than Salem Windows & Doors. From homeowners looking to do their own windows and doors DYI, to professional builders, we have a huge selection of windows and doors of all sizes and materials to fit your specific needs. Our sales reps can help with measuring tips as well as all of the latest in energy efficient windows and doors made with the latest in technologies and materials. One phone call and we think you will agree that our team is your best resource for everything windows & doors! Our projects have spanned NC, SC and VA and have included everything from new homes, to renovated hosiery mills, to single-window replacements, to downtown revitalization projects, to whole-house renovations, to dormitories, to country clubs and fire stations and beyond. Locally-owned and operated, our company is rooted in integrity and the belief that every project should be completed as if it were in our own home. Our professional and knowledgeable staff have over 40 years of experience in the industry. Whether you are an individual homeowner or a small, mid-sized or large-scale builder, Salem Windows and Doors wants to be your Windows and Doors Suppliers of choice. We hope that you’ll check out more about us, visit our showroom or Tell Us How We Can Serve You! Also check out our Windows and Doors “Steals and Deals”! Call us at 336-497-5429.